AllegroMedical.com presents The Comfort Audio Duett Original Personal Listener Neckloop. Individuals with t-coil hearing aids can use the Comfort Duett Neckloop accessory with the Comfort Duett Personal Listener to amplify and focus conversations in noisy environments. 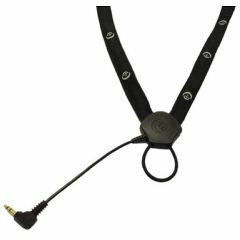 The neckloop performs with a good magnetic field signal strength level and a flat frequency response characteristic. Extension cable for use of the Comfort Duett in a car on placed on a table is included. The longer cable acts as an antenna, providing even better reception.